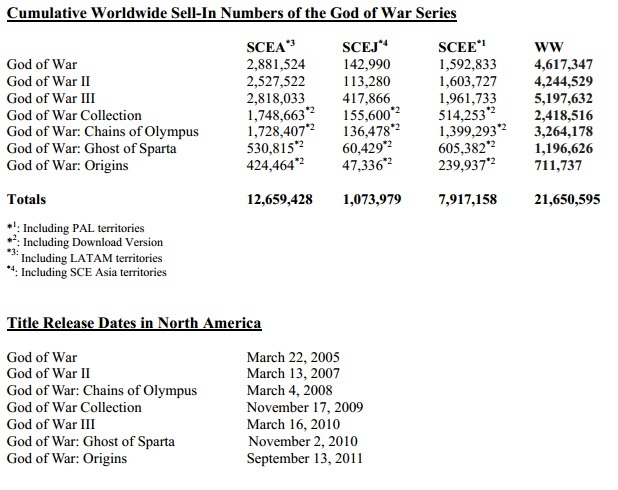 Sony announced a new milestone for the God of War franchise following its E3 press conference: the Sony Santa Monica-developed series has sold more than 21 million units worldwide as of May 30th, 2012. It’s fairly surprising to see the PSP versions of the IP either doing moderately well or selling over a million units. Piracy was an issue that plagued all three PSP versions of the series, with over several million gamers downloading the games illegally. The next God of War game is Ascension, which was showcased during Sony’s E3 press conference, as well as being dated for March 12th, 2013.